FlagSpace — AIRspace Projects inc. In 2018 we have created a new unique exhibition space by installing a verandah flagpole on the façade of the gallery. FLAGspace will invite an established or emerging artist to create an imaginative flag to display on the flagpole during our usual exhibition hours. The exhibition space aims to open up thought and dialogue around the historically and culturally loaded symbolism of the flag. In the broadest sense flags are communication tools for signalling and identification used at sea, as national and religious symbols, advertising and decoration. Within the Australian context the campaign to change the national flag has a long history that raises questions about the ongoing effects of colonialism and the lack of recognition of the Traditional Custodians of the land, Australian Aboriginal and Torres Strait Islander people. AIRSPACE PROJECTS extends its gratitude to ARTIST photographer Catherine Rogers for purchasing the flagpole and making this unique project possible. 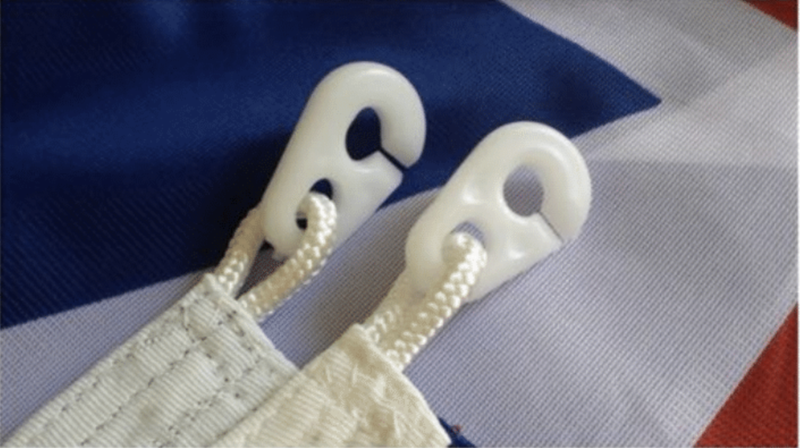 The flag needs to have loops on short LH end of flag so it can be hooked onto flag clips (see pics below). The flag must be sufficiently durable to withstand outdoor weather conditions; rain, wind and sun as it will be up both day and night for the entire month long period. The flag will only be taken down during the exhibition period if there are dangerous/extreme weather conditions. FLAGspace is by invitation and curated by AIRspace committee members Bailee Lobb and Paula do Prado. We encourage you to discuss your ideas with us! The flag will be on display to coincide with the AIRspace monthly exhibition schedule as well as the following week during our In between Program IBP. Images of the flag will be shared on our website/social media channels crediting the artist/s. At the end of the month the FLAGspace artist will need to collect their flag or nominate an address for return postage. Alternatively the artist may wish to donate their flag to AIRspace for inclusion in our end of year fundraising auction.